If we try to be reasonable, Honda Pilot is quite an alluring family vehicle and should be always taken into account when you are in search of bigger SUV. Decently powerful V6, proper road manners, three row of seating, an abundance of space and one of the most refined cabins in the class. But what if you want that extra dose of luxury inside and out garnished by a fancier badge? 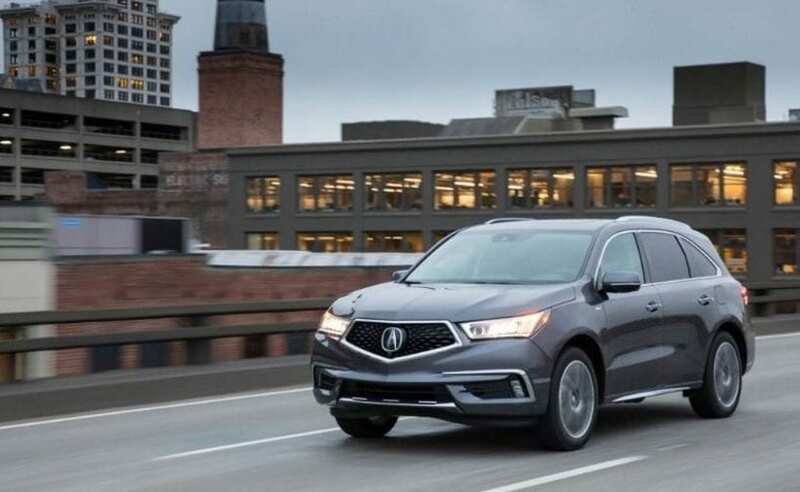 Then Acura might help, and luckily it won’t rob your bank account since starting price of $45k is among the lowest in mid-size SUV segment flavored with premium badges. If you add eight grand more you can get 2017 Acura MDX Sport Hybrid, and it pays off generously, and we should see why. MDX was facelifted last year, and it never looked this good, in all of its three generations. 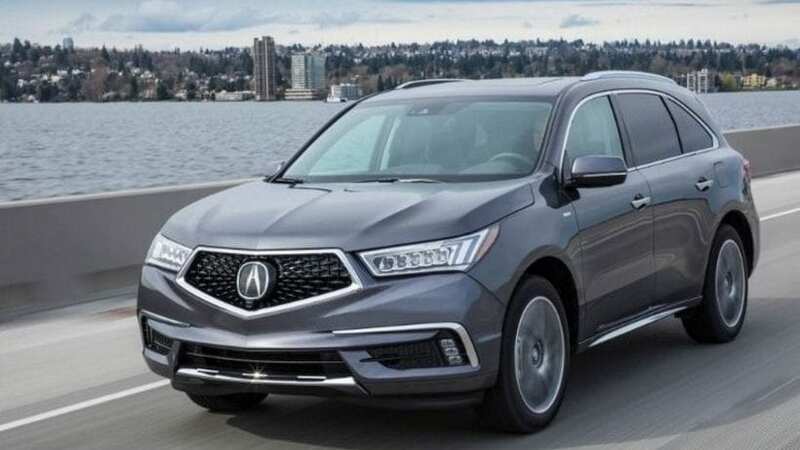 Beak shaped fascia as Acura’s styling approach is finally deserted, making space for an incredibly more appealing solution. Grille has a beautiful 3D effect, with particles sliding deeper into it near the badge and Jewel Eye LED headlights to enhance modern and high-tech appearance. Overall styling approach is a bit on the colder and more serious side, let’s say in line with Audi Q7 or Mercedes GLE, while for warmer touches you have to turn to Infinity’s QX60 or QX70. This is kind of its week point. The cabin is spacious and build quality is decent, but there ends all praise. Visually it is quite Honda like missing that special touch coming with luxury badges and similar would count for used materials. 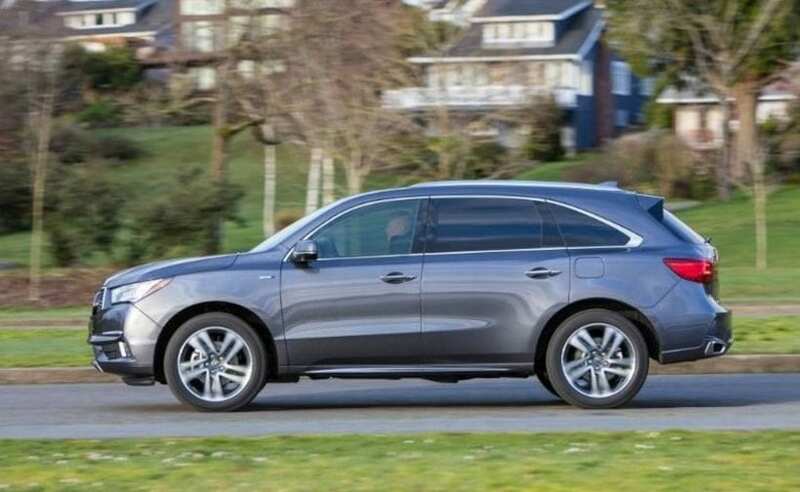 Things priced same like Infiniti QX60 or Volvo XC90 radiate much more lavish feelings on the inside, and same would go for pricier German premium offer. 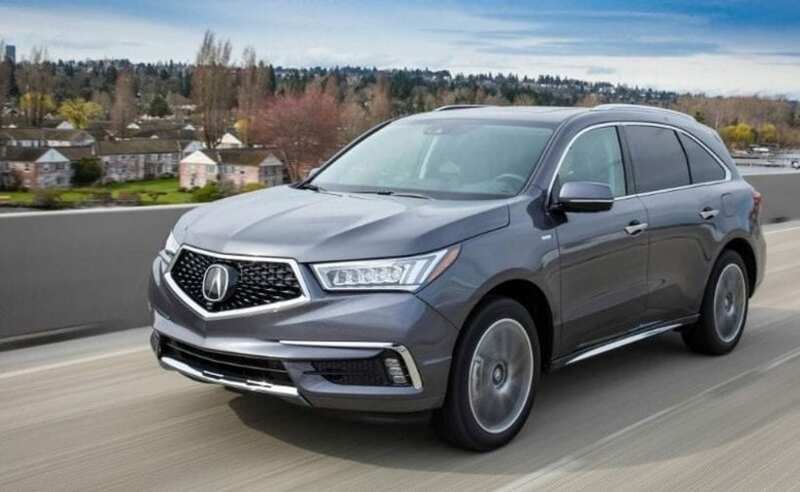 As we said Pilot has one of the best cabins between streamline mid-size crossovers and while MDX’s one is visibly more luxurious than his, it is just not enough for the premium side of the equation. Powertrain combines 3.5-liter V6 naturally aspirated V6 delivering 290 hp and 267 lb-ft, also present in the base model. In this case add to that two electric motors at the back and one at the front, which is same technology used in NSX. Power output rises to 321 hp and 289 lb-ft of torque, yet sadly acceleration time remains the same since 6 seconds is needed for it to hit 60 mph. That is due to the weight of batteries or extra 200 pounds to be precise, practically diminishing that extra 30 hp. And one more thing, hybrid version can’t tow at all, while regular one can manage up to 5,000 pounds. Besides it costs more, it is not quicker to 60 mph, and it can’t tow, you still want this hybrid for many different reasons. Acceleration time is maybe the same but extra torque available immediately thanks to electric motors do absolute wonders during the ride. The transition from traditional engine to electric motors is smooth as it can get, diminishing main problems with hybrid solutions. Also, with this setup, you’ll shift through 7-speed dual clutch automatic with much quicker but gentler changes than in the case of the 9-speed gearbox in regular model. MDX drives very well on the road and hybrid goes even further with batteries lowering center of gravity by one inch. For the sake of the Sport part of the name, besides sportier transmission, you’ll get an adaptive suspension and four drive modes, while car actually remembers mode that you selected and it is waiting for you when you come back later. That is maybe a small thing, but when it is lacking it is a cause of great frustration. For the end, hybrid allows 27 mpg combined or whole 6 more over regular model, which is a lot, while boot hasn’t been compromised by batteries and still offers 68.4 cu ft of space. In conclusion, as far as Honda’s luxury division and SUV lineup go, 2017 Acura MDX Sport Hybrid is the thing that you want.